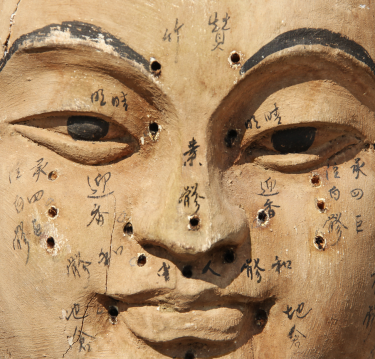 You may think of acupuncture in Chicago as being one particular type of treatment. However, the fact of the matter is that acupuncture includes a variety of different treatment types. These treatment types have been developed gradually over the years in an effort to target different areas of the body, and to remedy different ailments. One of the more popular acupuncture treatments is Japanese scalp acupuncture. This is an acupuncture treatment which targets the entirety of the head, and which offers numerous benefits. Interested in learning more about this treatment? Keep on reading! A fairly new form of acupuncture, Japanese scalp acupuncture came to be in the 1960s. Developed by an acupuncturist named Toshikatsu Yamamoto, it originally focused on five key points of the head. In its early days, Yamamoto used this form of acupuncture to treat stroke patients. He found that, not only did it help to relieve pain, but it actually helped to reverse the effects of paralysis. These days, Japanese scalp acupuncture is used to treat a variety of different ailments. Containing far more than the 5 points originally focused on by Yamamoto, it is now the most popular form of acupuncture in the world. When you go in for a Japanese scalp acupuncture treatment, your physician will likely consult with you about your current medical condition. If you have any ailments to speak of, he or she will want to know. Then, based on the ailments that you may or may not have, your physician will place exceedingly thin needles into different parts of your scalp. These needles will trigger different parts of your brain, allowing these parts of your brain to relieve pain in the areas of your body which are controlled by them. This will generally go on for 30 minutes to an hour, with your physician manipulating the needles throughout the process. This is essentially a pain-free procedure. While you might feel a bit of discomfort initially, it’s nothing so severe that it should turn you away. What Does Japanese Scalp Acupuncture Treat? Japanese Scalp Acupuncture can be used to treat a variety of different conditions. Everything from chronic pain, to stroke, to neurological disorders have been treated with the use of this technique. We’ll review some of the specific treatments below. By targeting specific points of the brain, Japanese scalp acupuncture is capable of relieving chronic pain in many different parts of the body. Whether you’re dealing with back pain, knee pain, foot pain, shoulder pain, or otherwise, this technique can offer you results. Do you suffer from severe and recurring headaches? If so, Japanese scalp acupuncture could be of great use to you. The procedure targets areas all over the head, allowing you to apply much needed pressure to commonly affected areas. Studies have shown that laser-guided Japanese scalp acupuncture can be used to treat those who have suffered from a stroke. It does this by targeting specific points of the brain that have been affected. Whether you suffer from Alzheimer’s, Parkinson’s, MS, epilepsy, or some other neurological disorder, you can benefit from Japanese scalp acupuncture. The procedure can be used to reduce both visible and invisible symptoms. Are you interested in undergoing Japanese scalp acupuncture in Chicago? If so, the physicians at the Feely Center for Optimal Health have you covered. Highly-trained and beyond experienced, they can work with you to help relieve any ailments from which you might be suffering.